Happy Friday!!! 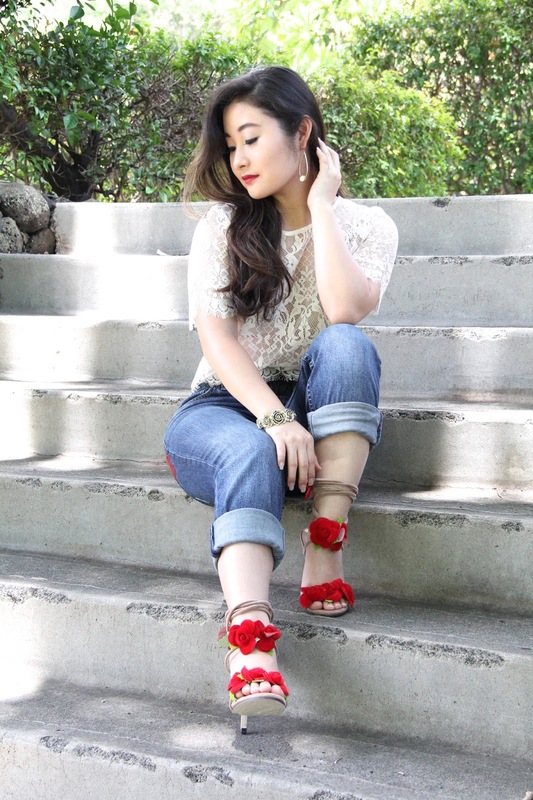 Today's outfit is all about these rose lace-up heels. 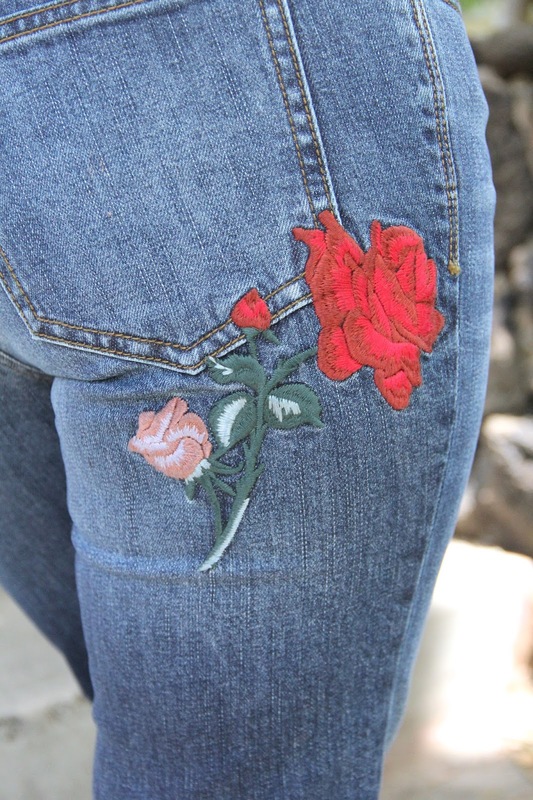 As soon as I saw these, I knew I wanted to feature them on my blog and share them with you. I must admit, these heels are not meant to go shopping or running errands in, but they are oh, so gorgeous! I can run in most heels (if I have to), but these babies will strictly be for lunch out with the girls or special day-time events. 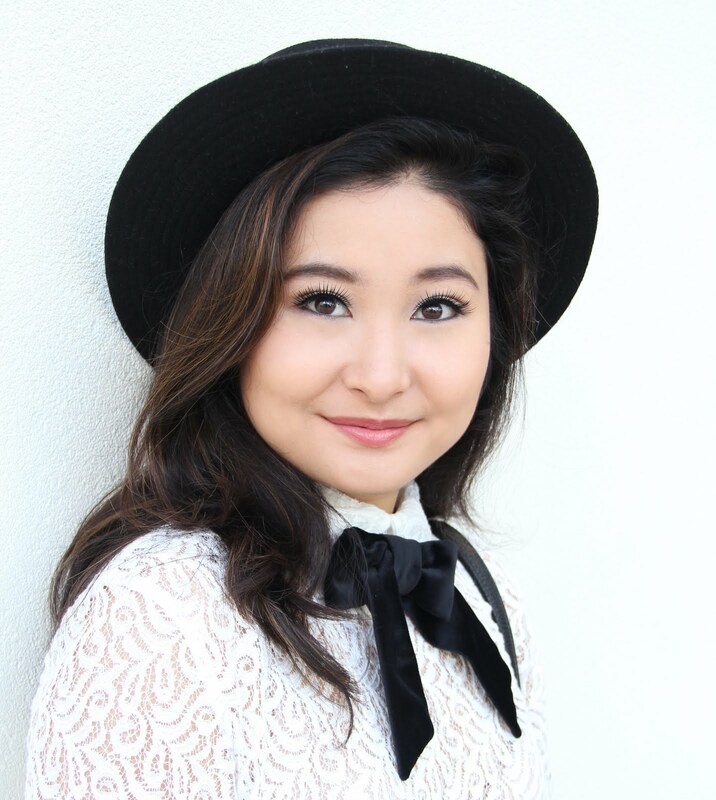 However, I wanted to style a casual look, just to show the versatility of these heels. 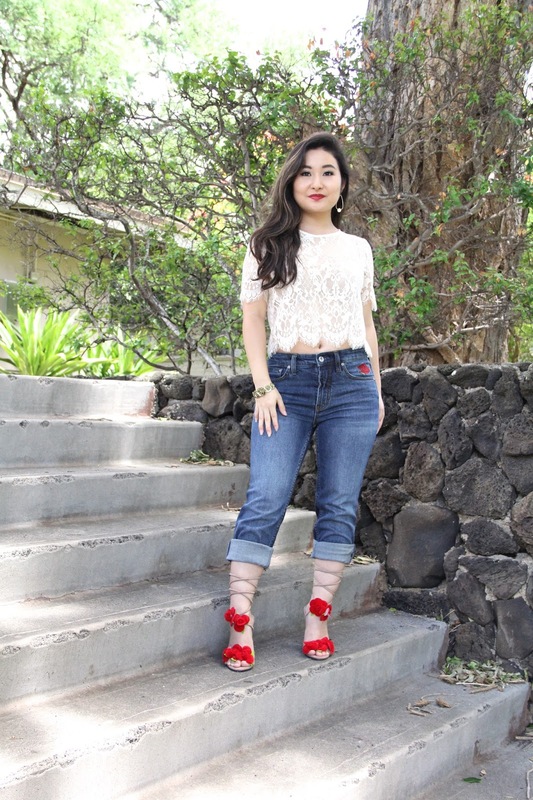 I wore an ivory lace crop top for a feminine touch and rose embroidered cropped jeans to highlight the intricate lace-up details of the shoe. 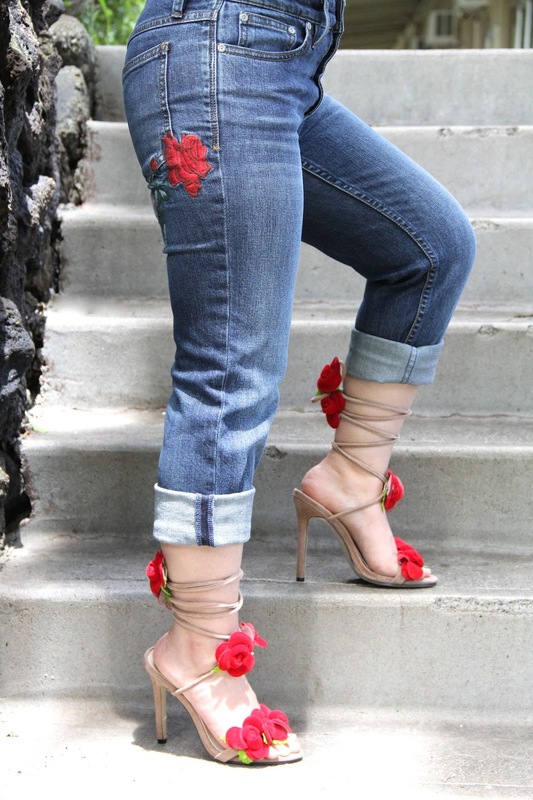 The roses on the jeans added the perfect detail to this look, while still allowing the flowers on the heels to steal the show. For jewelry, I wore a gold rose cuff bracelet to further highlight the rose theme and gold drop earrings. 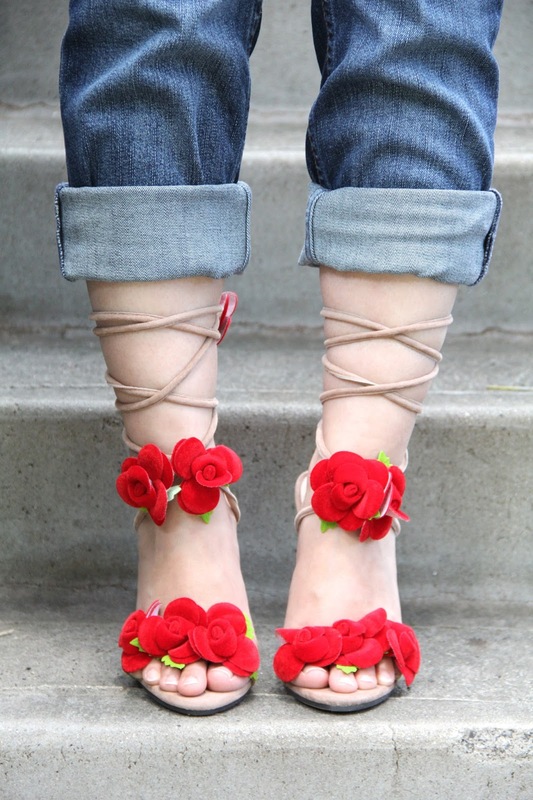 If you are interested in having these gorgeous rose lace-up heels join your shoe collection, you can purchase them at Rose Wholesale along with so many other heels. I linked these heels above and Rose Wholesale's info down below. 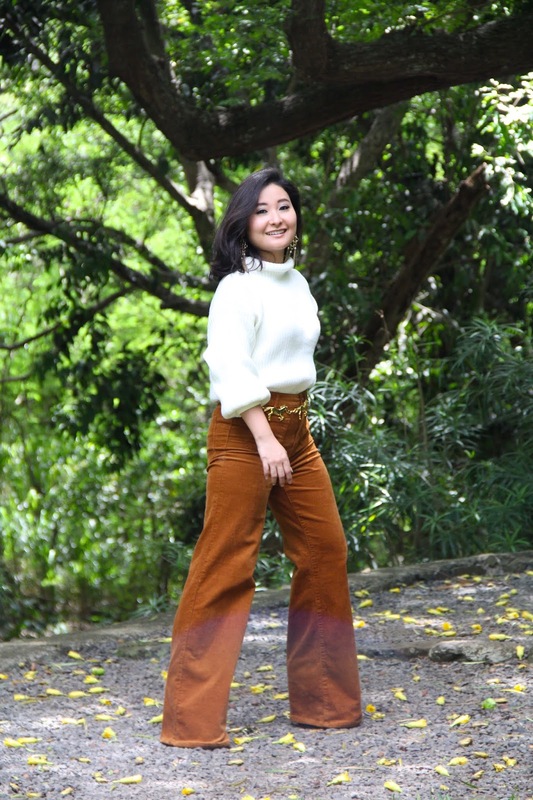 I hope you enjoyed this outfit post. May your day be rosy and bright! 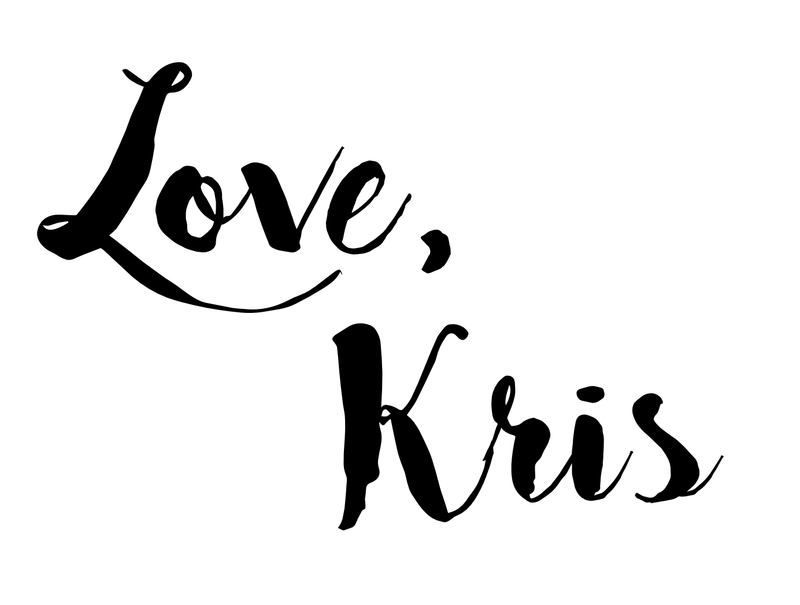 As always, I am sending you lots of love from my heart to yours!